NYC Car Lease offers the largest lineup of Mitsubishi cars, with all the trim level options available. We are not just another traditional car dealership that claims to have the best deals or lower prices. No! Not a chance. NYC Car Lease is an entirely different type of car leasing company. We help all our clients to save thousands of dollars by just benefiting from the exclusive incentives in our services. May it be great financing, free car delivery, special offers, low and affordable prices or our excellent customer help service, you can’t have enough when it comes to working with NYC Car Lease. You will really love being a part of the best auto leasing company in New York City. You can learn more about the things that set us apart from others by just browsing through our online site as you look for the next vehicle that you desire to lease. The monthly payment that a customer makes for a vehicle is a very crucial consideration factor when intending to lease a car. These and many more factors are well considered and put into an account at NYC Car Lease. 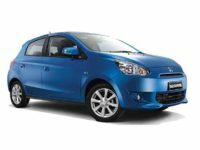 When shopping around for a Mitsubishi vehicle, you will come across models like the Mitsubishi Outlander SUV, Mitsubishi Mirage G4, and Mitsubishi Mirage. The Mitsubishi Lancer Sedan is also available. 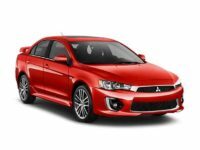 For Mitsubishi Sports car enthusiasts we have the Mitsubishi Lancer Evolution Sports, Mitsubishi Outlander SUV Sports, and the Mitsubishi Lancer Sportback. You can also look at other car models from different brands that you may have in mind since we have all car models available. If you need help or happen to have some questions about the Mitsubishi models, you can get in touch with us by dialing 929-239-3040. The major distinction between NYC Car Lease and all other competitors is that we don’t operate a traditional car lot. Rather, we allow our clients to browse through all the vehicles that are listed in the online inventory. This makes our services by far the most flexible and easiest for our customers. Thus, our clients are not forced to drive from one lot to another but instead they do the shopping right from the comfort of their own home. The fact that NYC Car Lease doesn’t operate a traditional car lot means that our expenses are lower than those of competitors in traditional car leasing companies. With the reduced costs our leasing deals are by far better, and the prices are very affordable. The savings are also passed along to our clients in the form of incentives and special deals. Thus, all clients get to enjoy reduced monthly payments for high-quality vehicles. 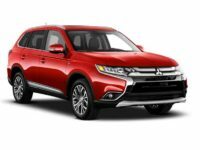 If you have any question regarding our Mitsubishi leasing deals or you would like to learn more about any other vehicle, please don’t hesitate to give us a call at 929-239-3040. Our friendly customer service personnel will get you all the information you require and get the leasing process started for you. Whatever it is that you’re looking for in your next lease, we will provide it for you. Here at NYC Car Lease, we will ensure that you are fully satisfied and happy with the entire leasing experience.